Everyone tells me different ways to charge my new to me cart. It is 48 volt. I have been told run the batteries down. ( I have read on here that's wrong ) I have been told not to over charge?? My Charger is a club car power drive 2. Model # 22110. How often should it be plugged in? My charger will start out at 12-14 . The lowest I have seen it get to was 4. Then it shut off. I don't know if means anything. The gauge on the dash From left to right has red, green , white , red. I know this is a meter for the batteries. When I hooked up charger today, Meter was at 10 on charger. I noticed the gauge on the dash was pushing into the red on the right side. Is this normal is it ok? The first time I charged the cart it only went into the white. Is this a problem?? Any and all help would be great. Thank you in advance . Connect cart to charger any time you are not using it. Never run the batteries down. Check distiller water in batteries at least once a month, do not over fill them. Keep cables clean and tight. Don't let water or acid stay on top of batteries. Dry them off. Use baking soda and water to make a paste to clean acid off the batteries. Read sticky at top of forum about batteries. You can also see volts under diving conditions and at rest,.. I guess that brings up another question...I am about to install an LED voltmeter on my 97 CC DS 48v series cart, with new batteries that have been properly broken in. Flat ground operation max cart speed 23mph because of high speed rear end gears. What should be a range of voltage numbers that I will see...static, running, after 15 miles of driving...etc, ballpark is fine. Thanks. The Trojan' state of charge chart shows volts drop from full charge at 10 % levels being about 0.48 volts, if I read it correctly . Thank you for the input. The year of my cart is a 2004.The batteries ate Trojan two are 2012, and the rest are 2013 with Basandi desulfator low voltage cut off. It also has a Madjax dc to dc converter. The guy that built this cart held nothing back from what little I have been able to read about. 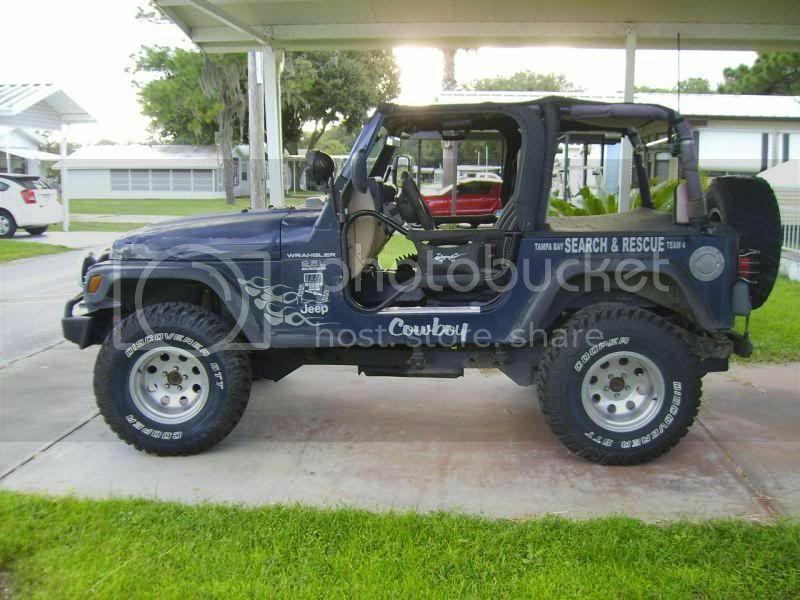 and looking it over top to bottom before I ever brought it home. Crash Test Dummy, I am also in zhills. I am always looking to learn and I am sure the modification's will keep going. If I could ever pick your Brain or you have time to pass your knowledge on please let me know. The T in Tommy T stands for Twisted, You have most likely seen my Ford F250 running around town. If your on the north end of town you will see my black cart also branded with Twisted Running the streets . People really take double takes when you pass them in a golf cart.